When Olga had just about given up hope, the unbelievable happened: those lottery numbers she had dreamt about almost 30 years earlier were finally drawn on the 28th of December. The determined dreamer had hit the huge jackpot of the Atlantic Lottery! As one of two lucky winners, Olga was able to collect a profit of 5,366,704 Canadian dollars. The timing was really perfect! Then the unexpected happened, as this long-time lottery fan finally got a big win, when on a Wednesday evening her lucky numbers came up in the lottery draw. 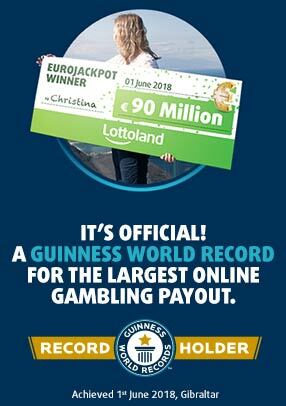 Her perseverance had eventually paid off and she took home the jackpot of around £5.4 million (about €6.3 million). As it turned out, someone else - 64-year-old Ramon Sanz from Abbotsford - also chose the same winning numbers as Mary. Thus, the jackpot of 24 million dollars had to be shared. However, as the prophetic Lotto dreamer had two tickets, she also garnered two-thirds of the grand prize: So she landed a double win, which was worth a total of 16 million! With us in Lottoland, you do not need to bet on the same line twice in order to get a bigger win. With our special "Double Jackpot" feature you can make the most of any good fortune and double your potential lottery jackpot winnings!